Rice Flour (79%), Resistant Dextrin, Sugar, Salt, Emulsifier (Sunflower Lecithin). 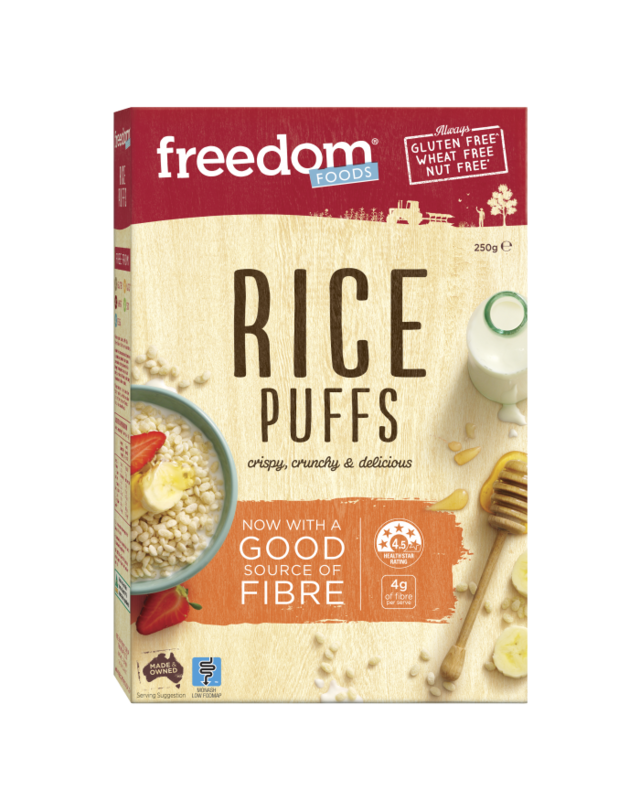 Rice puffs aren’t all the same anymore, thanks to our version, now Monash Low FODMAP certified. 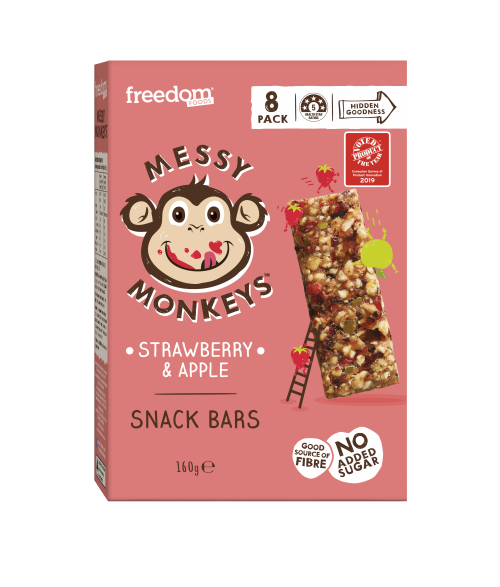 With Freedom Foods Rice Puffs containing a Good Source of fibre and no added colours or flavours, you can feel good about making it part of your and your kids’ morning routine. 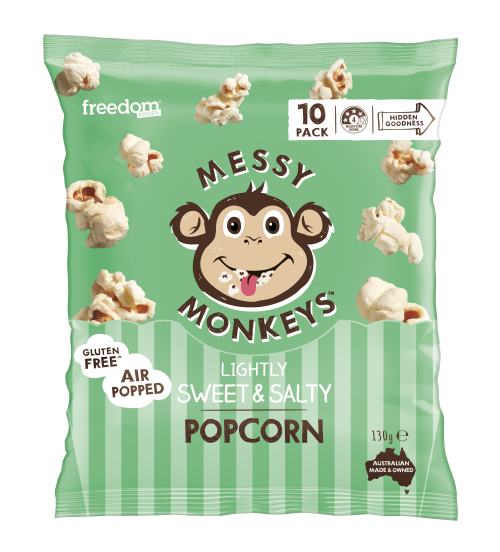 *Monash University Low FODMAP Certified™ product: FODMAPs are a group of dietary sugars that are indigestible or poorly absorbed by the gastrointestinal tract. Samples of Rice Puffs have been analysed and were assessed to be low in FODMAPs. Great to make things with like nut free chocolate crackle – good to know your canola oil is NON GMO. Brilliant!! 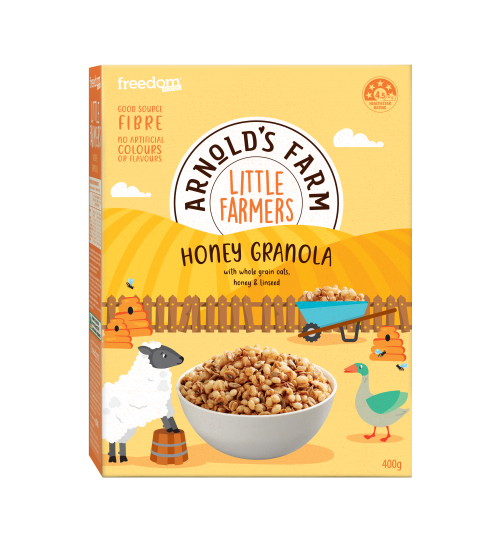 I mix it with plain yoghurt and fruit for breakfast..
Our Little Farmers Honey Granola combines the goodness of rolled oats, puffed rice, REAL honey, linseed and sunflower seeds to create little clusters for little mouths.